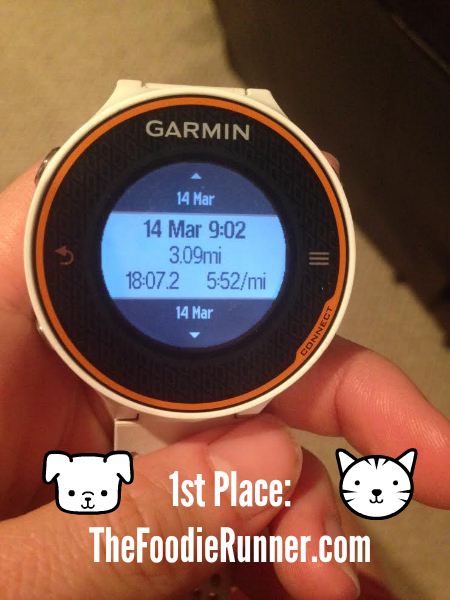 Race for PAWS 5K/10K Results! 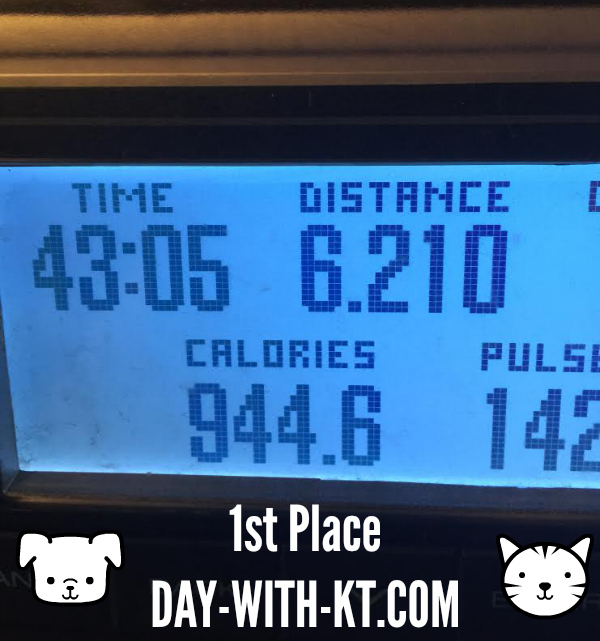 The virtual Race for PAWS 5K/10K is complete! I seriously cannot thank each and every single person who signed up enough. 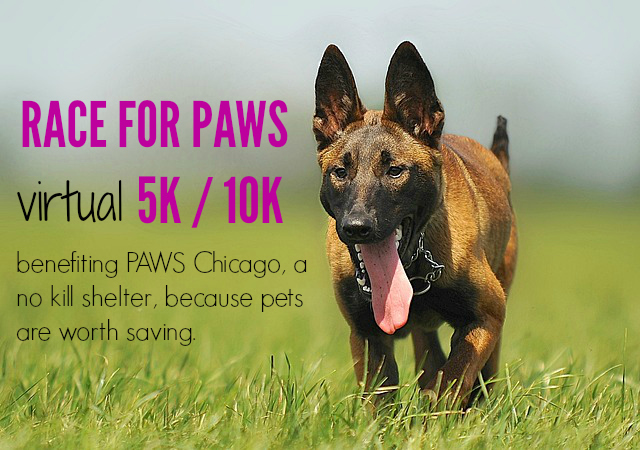 Not only are you helping me realize my dream to run Chicago this year, but you’re helping out so many animals at the PAWS Chicago no-kill shelter! If you haven’t submitted your result yet, you can still get it in! Just email me (runkristina@gmail.com) and I will add it to this page! *** I haven’t received the medals from the company that made them yet, so I haven’t shipped them off to those who requested one. I promise I will keep you updated and ship the medals as soon as I receive them! Heartworm treatment for a sick dog or cat, medication for the entire shelter for a day or any combination of these things. Thank you again to every single person for your generous donation and participating in the race for PAWS and my first virtual race! I really appreciate your support a lot! Previous Post Wasn’t it just Friday a minute ago? And congrats to you Kristina on this awesome, well organized race!! 🙂 Team PAWS is lucky to have you! You organized a great race and for a great cause. Congrats to everyone who put in the hard work, time, and effort!!! So fun to read the race reports. I like that you broke down the numbers of the funds raised thus far and showed us how this could help in different ways. Very special!!! Thanks for being an awesome race organizer, this really was a lot of fun. It never felt l like I was running by myself, ya know? I’m so excited for you to run in Chicago, wish I could be there! Thanks so much for the fun virtual race! So exciting that your race raised so much for PAWS!!! How awesome! I’m glad you were able to raise so much money! Thanks for organizing such a great event! I had a ton of fun doing it, and I’m so glad to see that you raised so much. Congrats! Thanks for organizing, Kristina, and congratulations to everyone who ran! Thanks to YOU for organizing this and putting it all together. That was so much fun! And holy cow you got some speedy readers :). So awesome! I love that your fundraiser brought in so much money for those sweet animals. Way to go, Kristina! Participating was really fun and I’m excited to do more virtual races in the future…and now I know where to turn for help if I want to make my own! Thanks for organizing this race – it’s awesome to participate in it!! Keep up your awesomeness! I had some speedy competition LOL 🙂 I will email you my Garmin link, I promised I did it, I posted it! I hate I missed this!! What an awesome cause.. Anything for animals!! !